Amazon Sponsored Products (‘PPC’) has quickly developed into a major marketing channel on Amazon. 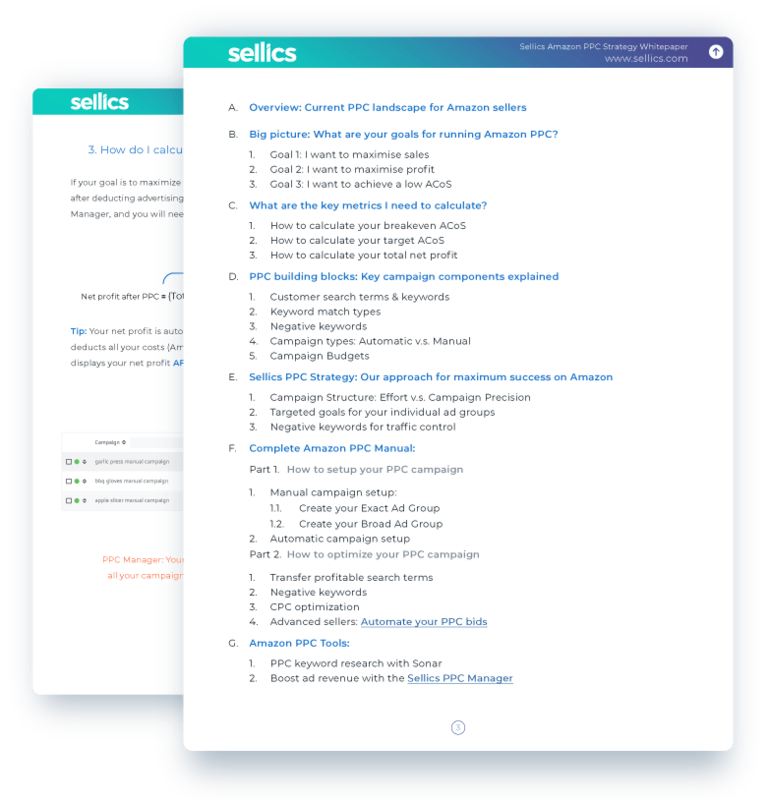 As your Amazon business grows, you need to ask yourself how you can take advantage of the current PPC landscape to setup effective campaign optimization strategies that will help you grow your ad revenue and see long-term success on Amazon. 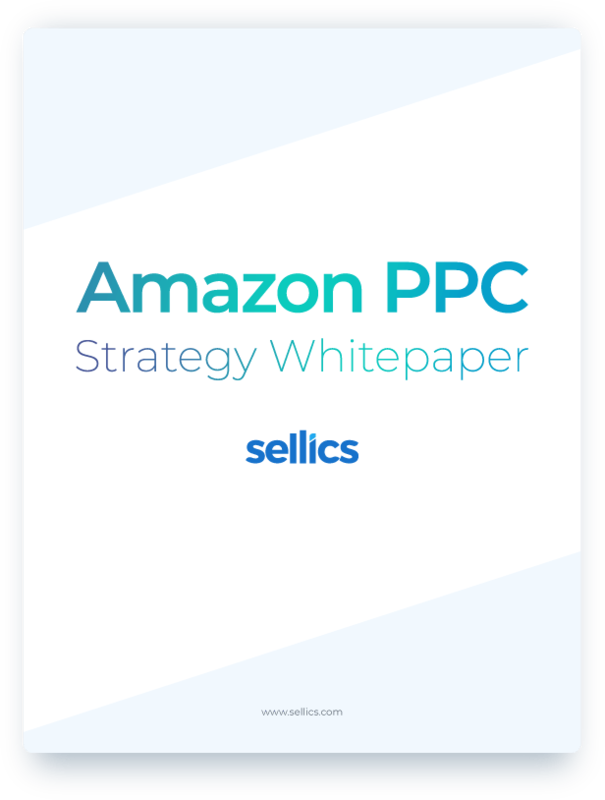 At Sellics we’ve written a comprehensive PPC Strategy Whitepaper to teach our sellers how to run profitable campaigns and maximize their advertising revenue on Amazon.